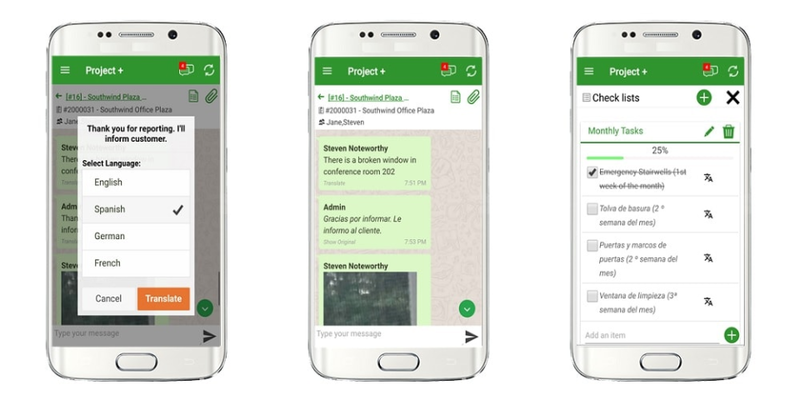 Timesheet Mobile is an ideal solution for the construction, catering, energy, healthcare, janitorial and security industries and any business that needs to keep track of on the clock mobile employees. Timesheet Mobile Reviews Recently Reviewed! Cons: It does not work consistently and is very time consuming on the job sites trying to figure out what is required to punch in the crew each morning. Some mornings it took up to 30 minutes, then I had to go back into time sheets to correct start times. Overall: I have been attempting to use Timesheet mobile for the past 30 days, but have found that the program has not been consistent on the way it opened each day, some days I could go into the manager section to punch in my crew and some days I had to use My TSM. This section was also non consistent and some days it took up to 30 minutes to punch in 3 men. I used to be able to punch in the men under the manager section and go into MyTSM to correct time cards if need be. Yesterday I could not get into the My TSM section to change job numbers when the men changed jobs. Last night I forgot to punch out the men, so I did it this morning when I got to work, but again this morning, I cannot get into My TSM to correct e time cards. If the Admin Assistant has to do all the corrections for the entire company, this program is more labor burdened that paper time cards. 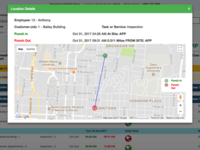 Pros: Software is easy to use and is a helpful in keeping track of the movement of our maintenance staff and for recording hours worked. Cons: Sometimes where there is a update, there is a slight glitch in the application that causes problems for my guys in the field. Pros: Easy to use software that allows us to geo fence customer properties, which makes it easier for employees to log in and out of the system. Integrates with QB which is a definite plus. Overall: Benefits are it fits our needs better than the previous software we were using. I like all of the features offered, and it's worked well to this point. Pros: I love that I can clock in and out from the convenience of my phone. Some days I work from home, so it's great that I don't have to email my boss to track my hours or try to remember to edit them the next day. Also, on the rare occasion that I get to work before the keyholders are there to open the office, I am able to clock in from my phone and start my work, without being penalized for some one else's tardiness. Cons: I can't think of too many cons. The clock in/out aspect can sometimes be wonky, i.e. sometimes I get clocked in twice when I'm actually trying to clock out, which adds a step more for my payroll administrator. Overall: Before timesheet, we relied on verbal confirmation of hours worked. Sometimes people are people and don't tell the truth. Well, it would catch us when a client would call about the bill and say, 'Sara wasn't here until 3 pm, I came home at 2:30 and she was gone!' - ARG! - that made us crazy, but there was no way to tell when they arrived or left a job site. UNTIL Timesheet Mobile - I know this may sound like a commercial but it's not. Timesheet has completely changed our management's confidence about the punctuality of staff and the duration of job tasks. We're about to set-up the downloading of a file of the days 'punch's' so we can in one fell swoop import them into our Filemaker Pro solution and have all in's and out's 'automatically' entered. I just cannot say enough about the software AND the company. I've called numerous times and they have always been there and even taken a couple of suggestions about the smartphone app! - hands down. - Just Great! 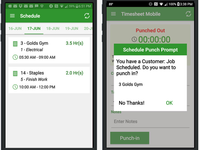 Pros: Timesheet mobile is a great way to manage timesheets online and go paperless. Cons: the interface could be better, but navigating the app isn't that hard. Thank you for the nice review! We just released our redesigned User Interface and it is really nice. 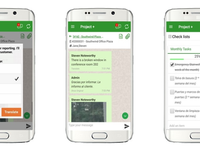 Keep the feedback coming and help us make Timesheet Mobile the best solution for workforce management. Cons: Timesheet mobile has enhanced how we do business on so many levels I don't really have anything to say about the least part of this program. 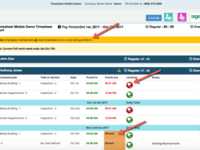 Overall: Timesheet Mobile is a true business partner that is flexible and responsive to our needs. Their software has enabled us to become more efficient, more aware and better prepared for our work week. The monthly savings is just the cherry on top. Thank you Timesheet Mobile! Recommendations to other buyers: If your having scheduling difficulties with your job sites or problems with ghost employees or if you just wish to be more effective try the free trial and you won't be disappointed. Comments: A number of things. 1. Any reported problems are dismissed at "syncing issues" and never actually addressed or fixed, so I just quit calling. 2. Customer service seems empathetic when I call, but nothing gets done. I have asked for a feature to be updated for a year now and all I get is "it's in the queue." and "how much of a deal-breaker is it?" Seriously? And then I never hear from anyone again. Nobody EVER follows up on problems I have reported. 3. I asked for training on the new interface and made an appointment to do so. The person with whom I was to train blew off the appointment, so I never received that training, that day or ever. They never called to reschedule. 4. The phone numbers for employees DO NOT sync from QB to TSM. I must manually enter them to get their apps to work. 6. The battery draining this app does...the GPS is out of the question to get accurate punches, so the fencing is useless, which is one of the reasons I bought the service. 5. Every single pay period I must go in and adjust times and delete double entries and otherwise make things legible for my accountant to read. This does not help me. Overall, I have become more and more frustrated with this app. I am switching as soon as I can. This reviewer was running an obsolete version of our software and did not wish to use our latest version that addressed these concerns 2 years ago. Pros: How easy and user friendly it is and how little training of our employees was needed to use the application. Overall: The ability for our field employees to accurately record their time and to be able to monitor and review their time. No need to print out spreadsheets for the managers to review it can all be done on line reducing the amount of time spent by all on time cards. Thank you for the 5 star review and for recommending Timesheet Mobile for all businesses! convenient and simple at its finest! Pros: The notifications to punch-in once you arrive within a certain mile-radius of work. Keeps the employees on-time for work. Overall: The promptness from the notifications provided by the app. 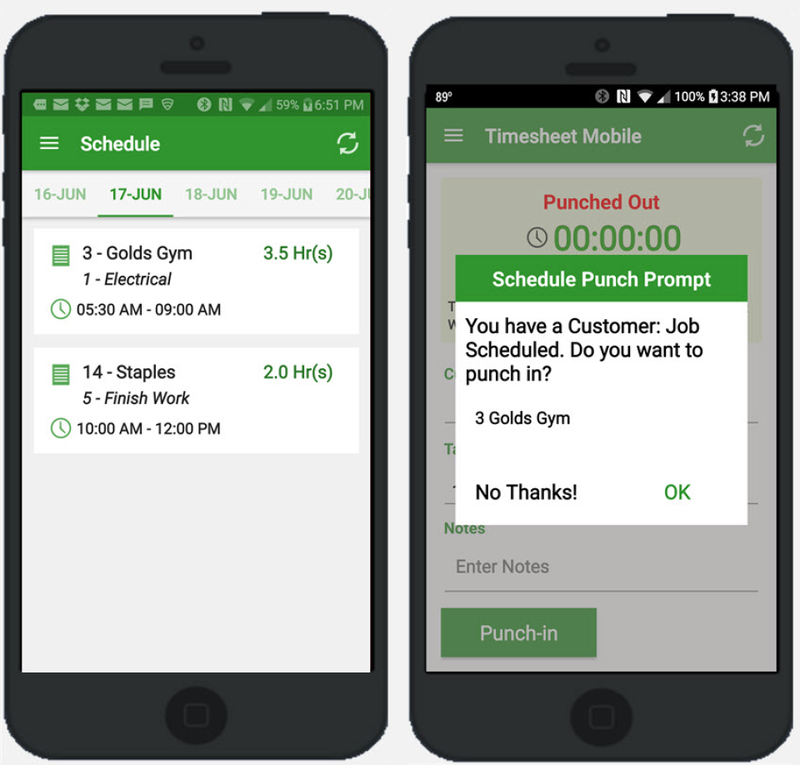 Timesheet mobile is a good tool for tracking hours for a team/ individual or a consultant. Pros: It can be controlled by the admin or any individual within the organization based on access granted. Its can be linked to calendar. It organizes and generates systematic reports with can be help for maintaining the record. Also helps when linked with payroll externally. Timesheets generated by a admin can be controlled for different projects. Cons: It limits its use to timesheet. For many other software like CMIC it is one of the features of many. For big organizations it might serve the purpose. Cons: Sometimes it does not work. Freezes and kicks' you out frequently. Overall: Personally I would like to see some more options/ selections. I and have submitted my request to my corporate office. I'm not sure of the progress on this. I will get with my corporate office about it. Recommendations to other buyers: Longer timeout session. Ability to select desired Job, not just one or all. Cons: Could have easier scheduling. 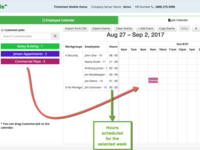 Overall: Good value in capturing time sheets and employee locations. Integrates well with QuickBooks Desktop. The software is not performing as promised. Support does not get back. Pros: ability to tack employees. Appreciate all of the features that are offered and promised. See great potential to make administration more accurate and efficient. Cons: can't record notes and fences are too large. The product does not fulfill the marketing promises and support is either non-existent or inflexible. Pros: Makes easier to do accounting and payments for my employees, and keep them in check supposdely but i have my doubts.